The AA-52 (full designation in French: Arme Automatique Transformable Modèle 1952, "Transformable automatic weapon model 1952"), also known as "La Nana" is one of the first French-produced guns of the post-World War II era. It was manufactured by the French government-owned MAS company. The AA-52 is still used today as a vehicle-mounted weapon due to large quantities in service, but has been replaced in the helicopter role by the Belgian FN MAG, starting with the EC 725 Caracal of the Special Operations units and the Air Force Search and Rescue teams. The AA-52 had been largely phased out for infantry use in favour of the lighter FN Minimi. 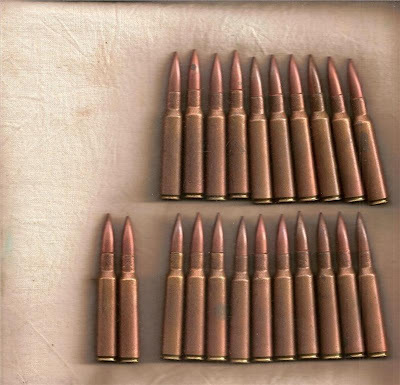 The AA-52 is still in use in Afghanistan. 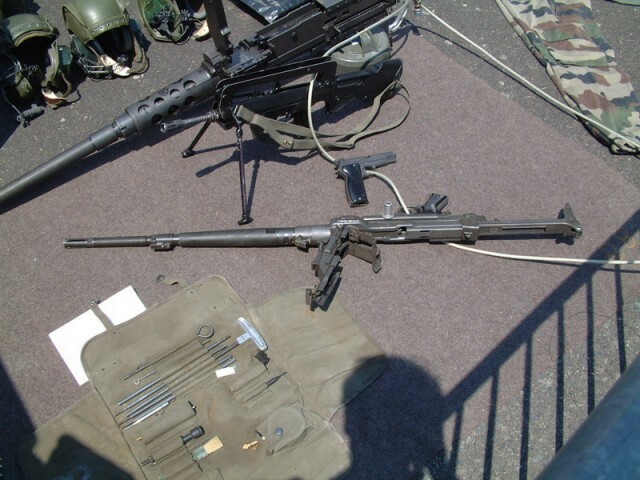 The AA-52 machine gun was conceived and developed following the French military's experiences in the First Indochina War during the early 1950s. At that time, the French army was equipped with an assortment of weapons from British and American sources, as well as some German weapons from the Second World War. Effective supply of ammunition and replacement parts was an almost insoluble task and the army decided to adopt a standard machine gun. The result was the AA-52, conceived for ease of production. The construction is of simple welded stamped sheet steel. The AA-52 is a peculiar weapon among modern machine guns because it uses lever-delayed blowback operation. When firing, the pressure pushing the case head rearward initiates an impulse on a cam that sends the bolt carrier rearward. After a certain distance, a link (in this case the firing pin) pulls the bolt head, hence extracting the spent case. 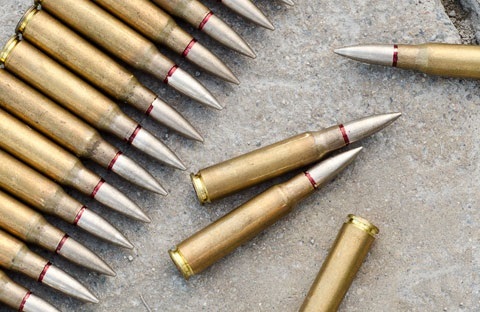 Since there is no primary extraction, the chamber is fluted to allow powder gases to flow back, unsticking the case from the wall chamber like on H&K type roller-delayed blowback weapons. The AA-52 can be used as a light machine gun with a bipod or as a heavy machine gun with a tripod. When used with a tripod for continuous fire, the gun is fitted with a heavier barrel. 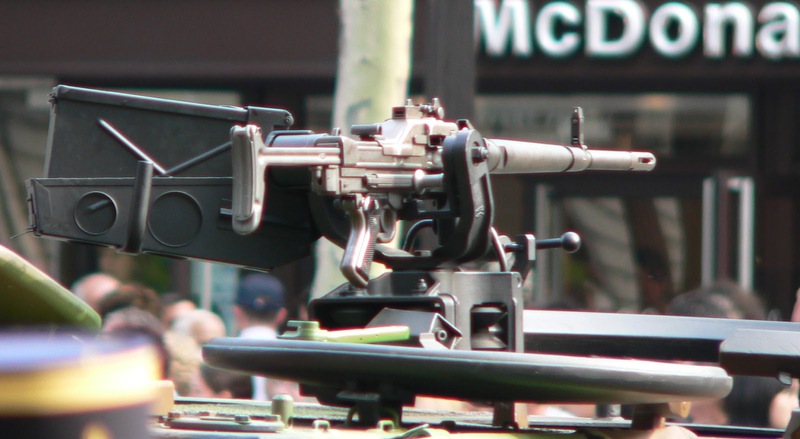 In the light machine gun configuration, the AA-52 is a relatively light weapon to carry. 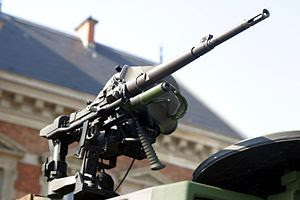 The AA-52 can be fired from the shoulder but this is slightly awkward because of the position of the handle, however the bipod can be used as a handguard when not in use. The barrel is changed by pressing a latch and rotating it a quarter of a turn. The APX(SOM) telescopic sight used on the MAS-49 and the FR-F1 sniper rifle can be mounted on the AA-52 as well as an infrared night sight.